In 2016, J. D. Vance’s Hillbilly Elegy defined Appalachia for many, with Vance lionized as the region’s latter-day prophet. For Appalachians, the book has been much more troubling and complex. 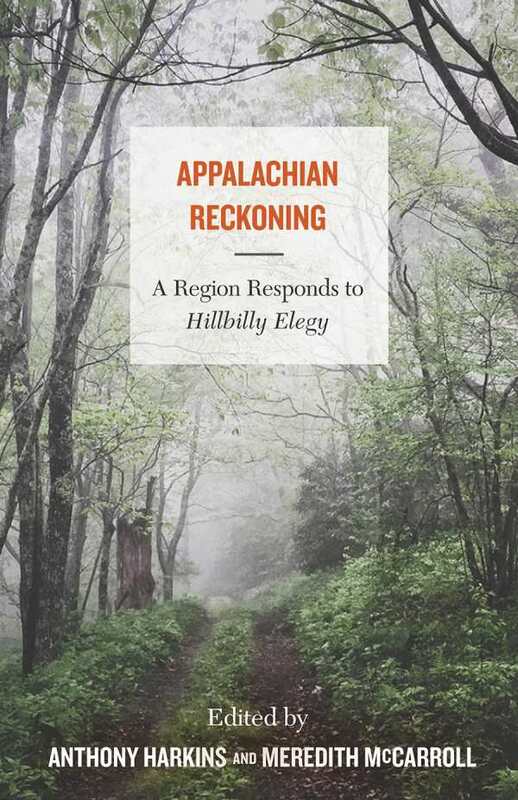 Appalachian Reckoning, edited by Anthony Harkins and Meredith McCarroll, critically situates Vance’s book and the reception thereof while redressing the current and historical complexity of Appalachian experience(s), which have always been plural rather than monolithic. The contributors share Appalachian heritage, and their perspectives demonstrate the scope of Appalachian experiences and identity, covering a range of political persuasions, socioeconomic backgrounds, racial identities, and sexual orientations, among others. Their approaches are also multifaceted. Divided into direct commentary (mostly scholarly) and personal, artistic, and autobiographical reflections on Vance’s work, each contribution earnestly wrestles with Hillbilly Elegy‘s juggernaut, whether it’s from a perspective of dissent, appreciation, or reconciliation. Stunning in its intellectual and creative riches, Appalachian Reckoning excels in holding the personal in tension with the political, the past with the present. In essay after essay, centuries-old popular stereotypes are unpacked, while poetry and photographs add alternate cultural visions. William H. Turner honors the rich history of black Appalachian communities. Allen Johnson uses research on adverse childhood experiences as a rubric for understanding Vance’s perspective. Multiple contributors explore extractive business practices, the frayed social fabric, and the cumulative effect on individuals in the region, but concurrent stories about Appalachian adaptability, vitality, engagement, and success aren’t erased. Appalachian Reckoning “attempts to speak for no one and to give voice to many,” even as it challenges the notion that any single book, including itself, could summarize Appalachia and what it means to be Appalachian. Rather than an elegy recounting what’s been left for dead, these voices’ melodious cacophony echo the demands and complexity of a living culture.